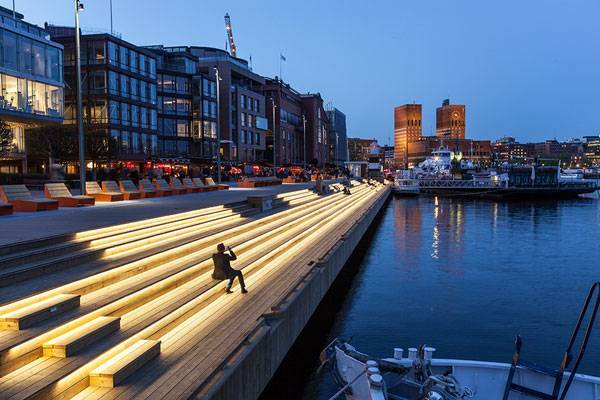 Article by Maria Giovanna Drago – A review of Stranden by LINK Landskap, 2014 Oslo, Norway. The city of Oslo is located in the innermost point of the homonymous fjord. 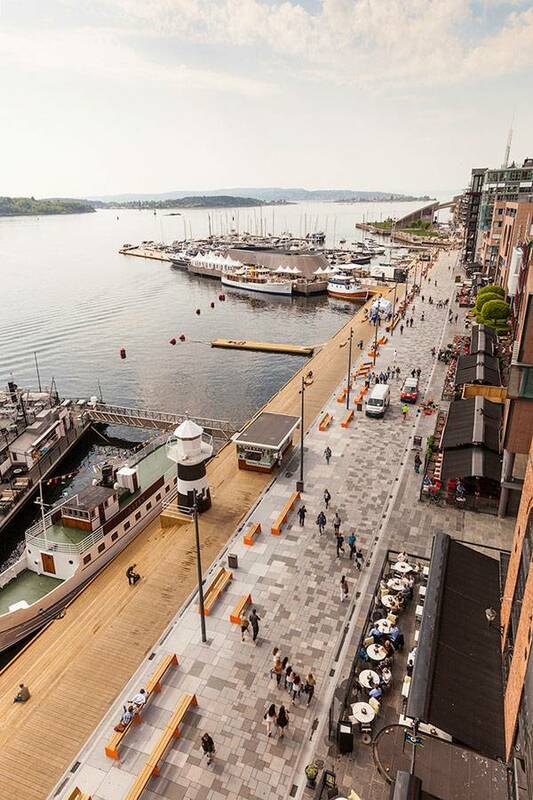 One of the districts which overlooks the water is Aker Brygge, the most in-style area with its numerous pubs, restaurants, apartments, and shopping centres. Way back in 1854, the shipyard Akers Mekaniske Verksted was located here and the engineering industry expanded until 1982, when it went out of business. 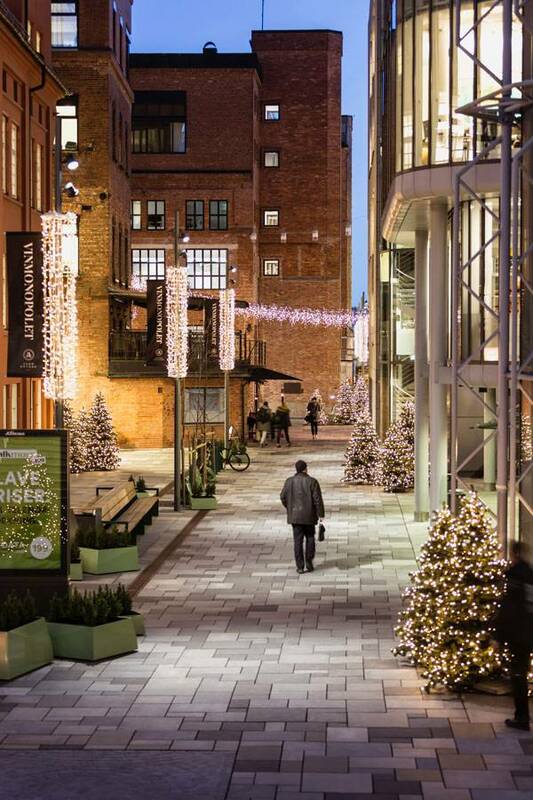 From there, the district began a major change with the opening of the first stores and a phase of urban development following that which has made it an important meeting place, teeming with people both day and night, especially during the summer months. Telje-Torp-Aasen Architects had won the architecture competition for the redevelopment of the neighborhood in 1985, with the intention to transform it from industrial area into liveable neighborhood. In particular, the redesign of the external urban areas was entrusted to the study 13.3 Landskapsarkitekter, today LINK Landskap. 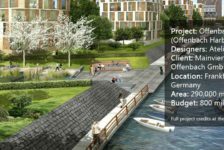 They themselves had the wonderful opportunity to modernize the area 30 years later, especially the waterfront, and to be part of a multi-stage project led by Space Group Company and Ghilardi + Hellsten. 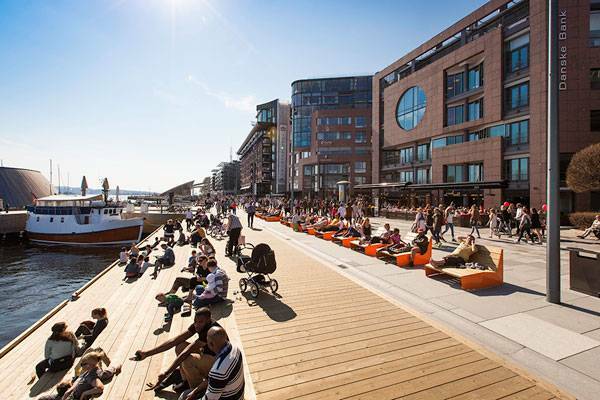 The waterfront promenade, known as Stranden, and the new marina were inaugurated in 2014, while the main square, Bryggetorget, and the roads that connect the waterfront to inland areas were completed in a second phase which ended a year later. 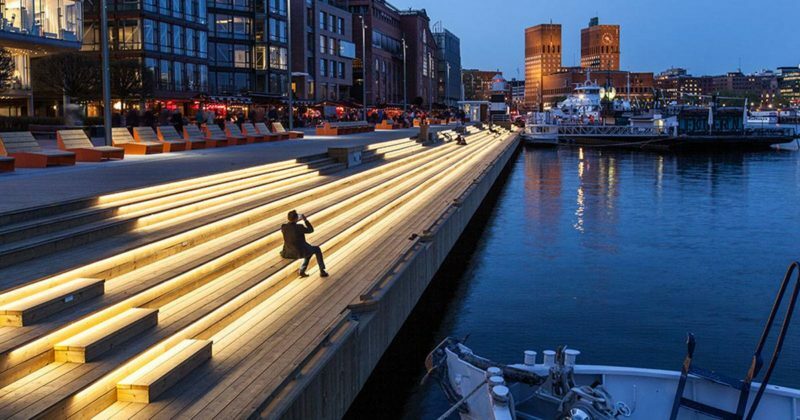 The seafront was lengthened to 12km and is a long and public promenade that runs from northeast to southwest, connecting the ferry dock to the Aker Brygge marina. 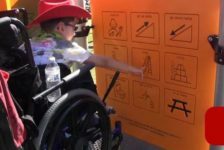 The area is both pedestrian and vehicular, but accessible to only a few vehicles, for example, those that provide services to the restaurants. It looks like a long band characterized by two types of flooring: light wood and grey granite. 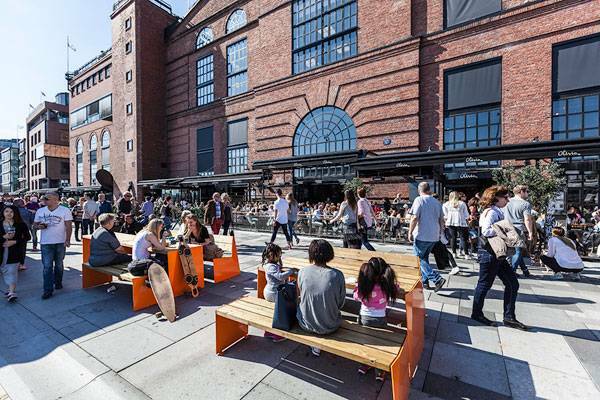 LINK Landskap architectural firm aimed to design a social place with a simple idea; making it look like a big and long square, substituting the tarmac road in front of the restaurants with the same paving as the new adjacent sidewalk. The pavement study thus assumed a key role, along with the furniture design. 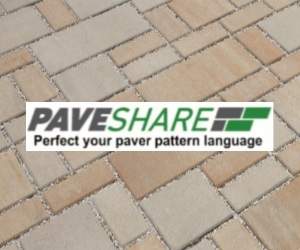 The paving granite characterizes the walk. There are three types; rectangular large modules, medium modules, and circular compositions of small cubes. The first identifies the sitting and relaxing zone immediately facing the sea where orange seats are located, the second upholsters the shared area between the buildings overlooking the promenade and the sitting zone, and lastly, the third type is exclusively for vehicular roads within the district. After the sitting area and the orange seats, there is a sloping wooden space with a path for strolling, around 3m wide, and 6 steps leading down to the sea. The paving granite design on the ground is inspired by ancient Roman techniques, but it has been revised to adapt to current needs of production and installation, as well as to the terrible winter temperatures that can drop to 25°C below zero. 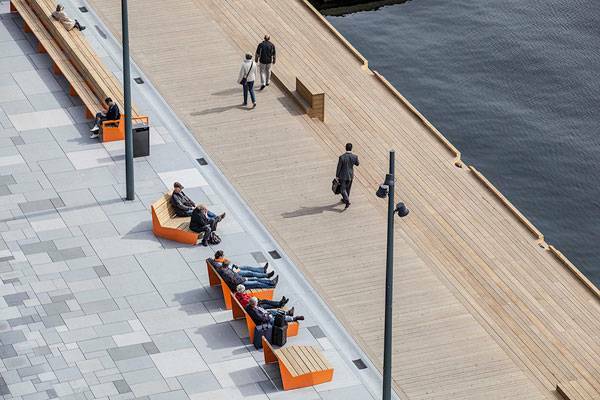 The architectural team collaborated with Vestre, a leading Norwegian company in street supplies, and Tveit & Tornøe, also a Norwegian design firm, to design the street furniture. 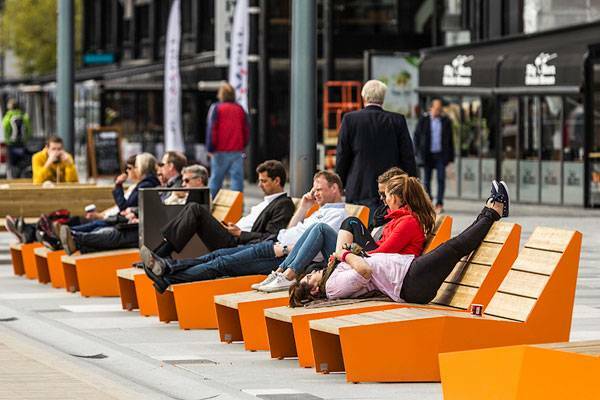 All of them together have developed various types of seating, mainly made of pale wood and orange lateral details, which enhance ease of use and social interaction. 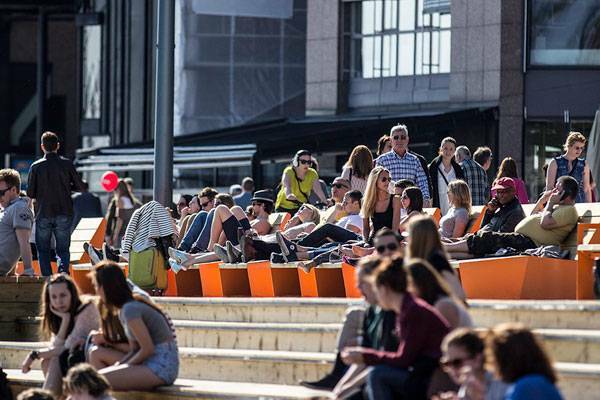 For example: there are single and double benches where you can stretch your legs as in a deck chair; also long front-and-back benches facing the fjord or the city facades; seats can be integrated with tables for reading or eating or can be supplied with armrests … all of them are close together, so that tourists and residents can sunbathe or have a drink, listen to music or chat together, all with the freedom of not being required to be customers of the restaurants by the seafront. When offices and shops close in the evening, the lights of the small gazebos of the restaurants turn on together with the lights of the entire promenade, which were specifically designed to avoid light pollution that would prevent enjoyment of the sea. The streetlights along the promenade are high and have a narrow light beam that focuses at certain points in particular, leaving most of the rest in shadow, while other hidden headlights only illuminate the riser of steps descending to the water. This evening scenery is quite evocative. 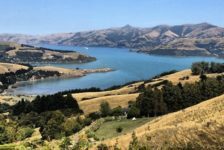 The area has become a popular destination that people love to visit, where they can eat seafood along the walk, go shopping, get on a boat directed to the islands and even meet some important businessperson or a VIP. Aker Brygge is visited by not less than 12 million people each year; festivals and unique activities attract people, also the chance to wander at the Aker Brygge mall which is located on a 100m dock. Or you can dock your boat/yacht at the new marina whose pier is 160m long. The new Aker Brygge won both the City Award 2016 and the WAN Waterfront Award 2016. 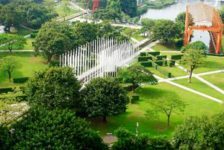 The World Architecture News Awards is an international award that – each year since 2005 – appoints the world’s best landscape projects. It is divided into 22 categories, including one specifically dedicated to the Waterfront. The judges rewarded it for the simplicity of the idea which managed to re-create a local identity, to connect people, and to reinvigorate the relationship with the sea. 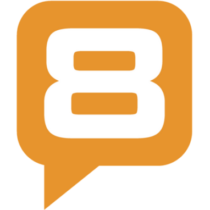 Do you trust in “simplicity” as a key to make a project outstanding? 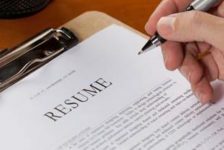 If yes, to what extent? The Institute for Advanced Architecture of Catalonia announce the 4th Advanced Architecture Contest: CITY-SENSE: Shaping our environment with real-time data.